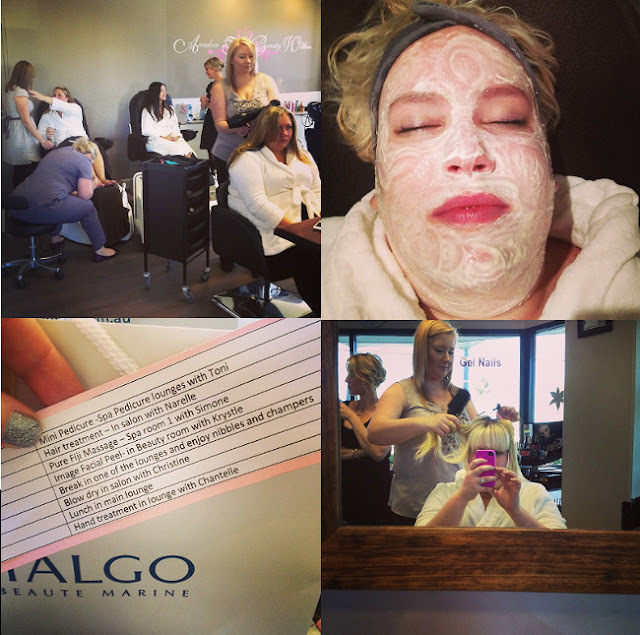 WaitUntilTheSunset: Beautiful You Day Spa: Blogger day and giveaway! Oh I would love the Peel Facelift because if I can do anything to this hopeless face of mine, a facelift would be it... even if it isn't the surgery kind, haha! I have been very fatigued lately so my face currently gets washed every day or two (depending on if I wore makeup) and possibly scrubbed on the weekend but that's about it. It is in bad shape and I keep having horrible hormonal breakouts of late so this would be a big help. Love your shirt! Looks fab on you and the print is so cute! Wow!nice, it really feels so relaxing after having a spa. Everything will turn out right after that activity. A massage would also be a great help. I would love to win an Image Signature Peel Facelift! I recently renewed my license and almost cried when I saw how much I have aged in the past 3 years (and there's nothing like an ever-flattering ID photo to crumble your self esteem). Thanks for the opportunity to enter, and also for the sneak peek inside Beautiful You - what a lovely spa! massages can help you get rid of the daily stresses, and be rejuvenated. The finest Thai massage oils are used by our therapists. It is a great time when you are with your friends and this joys doubles when you are in a spa to have the massage from the best physiotherapist of the town. Those who are looking for a quality remote control massage reclining chair with better control on heat and intensity of massage can find the relaxzen leisure massage reclining chair from bestrecliner.net. This recliner can work as your massage therapist. Excellent review! I have read your page. Informative and interesting which we share with you so i think so it is very useful and knowledgeable. I would like to thank you for the efforts. I am tiring the same best work from me in the future as well. very comfortable chair i feel very relaxed when i massage on this massage chair. Thank's for sharing.